A deliciously smooth and creamy flavour . 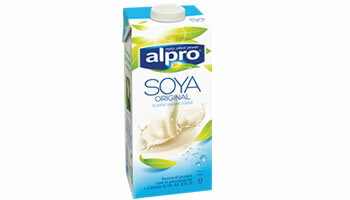 The soya bean may be small, but it packs a powerful punch – Soya is high in plant protein, but low in saturated fat, full of unadulterated plant goodness. 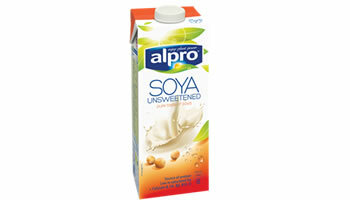 Alpro Soya Wholebean has no added sugar and absolutely no sweeteners. The perfect product to create savoury sauces, souffles and pancakes. 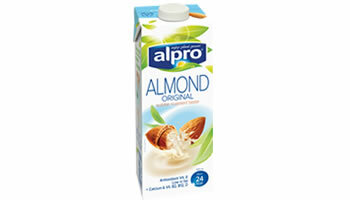 Dairy free & low in saturated fat. Lightly roasted Mediterranean almonds and pure, natural spring water are the essential ingredients in our deliciously nutty almond drink. The perfect addition to tea, coffee, shakes and smoothies or simply on it’s own. 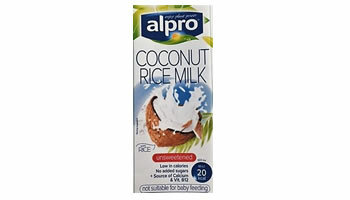 A source of calcium and vitamins B2, B12, D and E, this power pack of plant goodness is naturally lactose-free and naturally low in saturated fat. Our Unsweetend Coconut & Rice Milk is naturally sweet, ideal for use in cereals, porridge and smoothies. 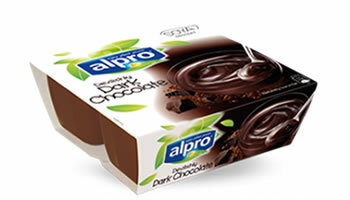 Alpro Dark Chocolate dessert combines silky soya creaminess with the power of real dark chocolate. Each little pot contains plant protein, calcium and vitamins B2, B12 and D.
The uniquely smooth, creamy texture and rich, velvety vanilla taste makes every spoonful of our delicious plant powered dessert worth serving up. Soya and vanilla in perfect harmony. 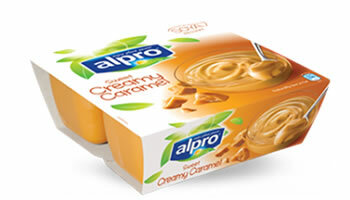 Alpro Caramel dessert is made with only the finest ingredients, so this delicious, plant-powered dessert is a real treat for your taste buds. It’s also a source of plant protein, calcium and vitamins B2, B12 and D, and low in saturated fat. 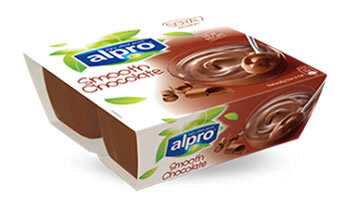 For a chocolate treat that’s full of soya protein, serve up Alpro Smooth Chocolate Dessert. 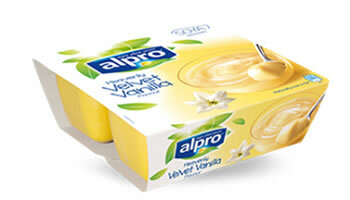 The rich, chocolate flavour, the light creamy texture – after just one spoonful your guests will be converted to the delights of Alpro desserts.